While the news sites keep being covered by the so-called Islamic State and related terror and anti-terror activities, the Syrian government forces continue to operate with terror and illegal barrel bombs against civilians – hardly covered by the news. 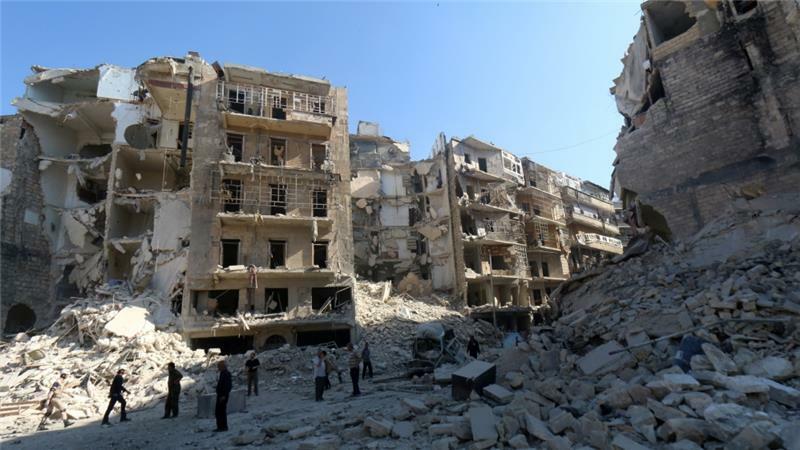 Now, again, a series of barrel bombs dropped by Syria’s government has killed at least 75 people and wounded dozens others in Aleppo province, according to medical sources and a monitoring group reports Al Jazeera today. The UK-based Syrian Observatory for Human Rights, which documents violence through a network of activists on the ground, dubbed the al-Bab attack as a „massacre“, adding that the number of dead likely would rise because many of the wounded were in critical condition.